Design has it all.... a pin up witch, skulls, cats, and Jack-O-Lanterns! Features black ruffle trim. Artwork designed by Australian tattoo artist, Mimsy Gleeson. 98% Polyester 2% Nylon with resin frame. 21" expanded, 9" folded. Rainy days no longer have to be so dull and gloomy. 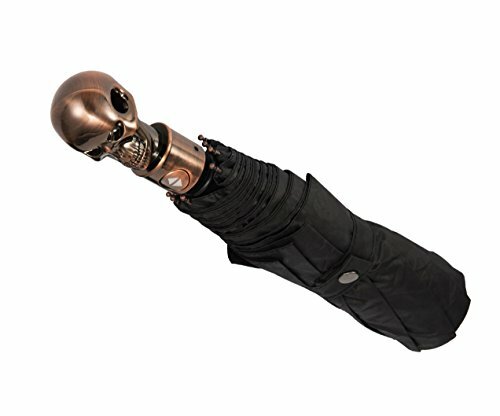 Kung Fu creative Stick Umbrella will cheer you up in any dismal weather. 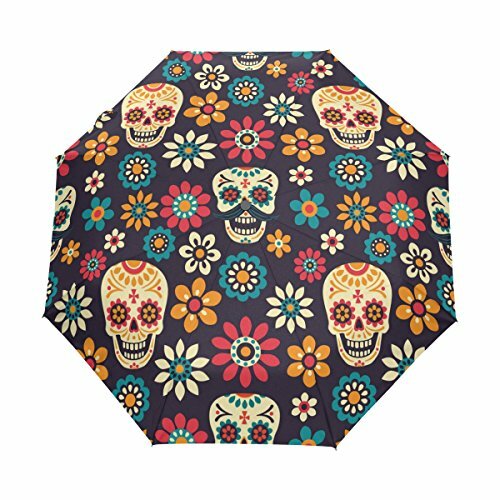 Made from sturdy steel and quality waterproof cloth, the umbrella is highly durable and capable of withstanding strong winds and rains. 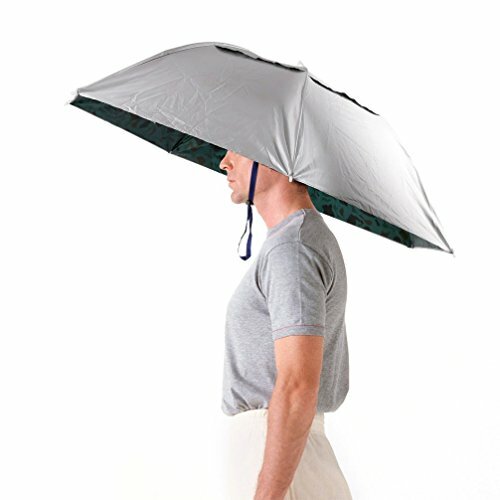 The umbrella is also great to use on sunny days, as it protects your skin from those burning UV rays. 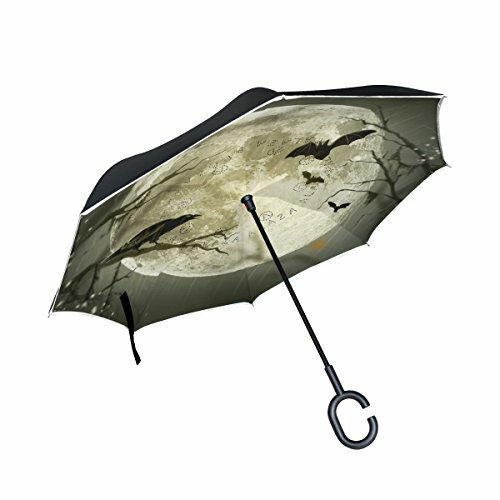 3 fold manual open umbrella. Compact travel size. Great for Halloween! Order 10 or more and get %50 off. 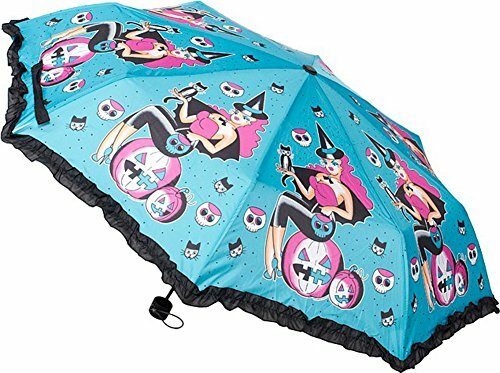 37.4"(W) x 24.4"(H) Automatic Foldable Umbrella Made of 100% Polyester Pongee Waterproof Fabric and Aluminium. Sized in 37.4"(W) x 24.4"(H) (8 Ribs), One - Side printing. Auto foldable, using one button to open, one hand operation, light and convenient. Image imprinted using heat sublimation technique to prevent discoloring, long-lasting effects. 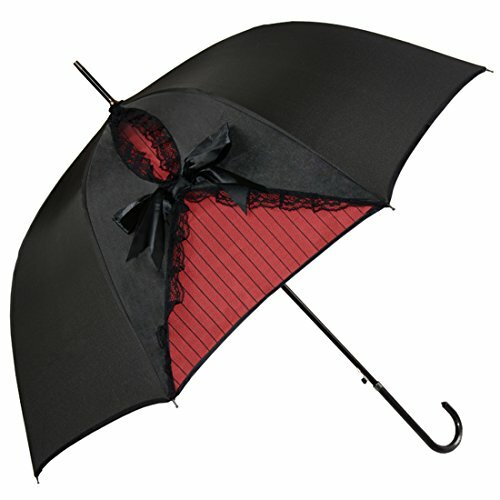 Suitable for rainy snowy weather, also prevent user from sunburn and windproof. Perfect for outdoor activities, such as traveling,shopping. Best gift for families, friends and relatives (men, women, girls, boys or kids). 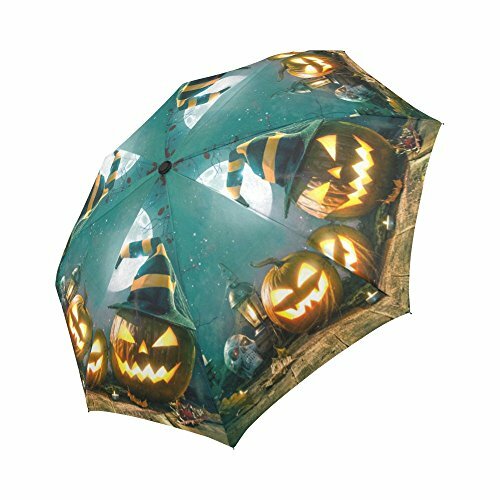 Add a bright and special finishing touch to your clown costume this Halloween with this festive clown umbrella. 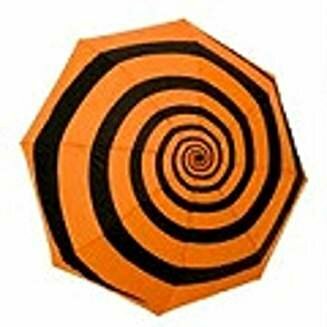 This colorful umbrella is the perfect addition to almost any clown costume. It measures a full 24 inches tall and is made from a blend of polyester and cotton.